Too often elves are portrayed as weak and timid. 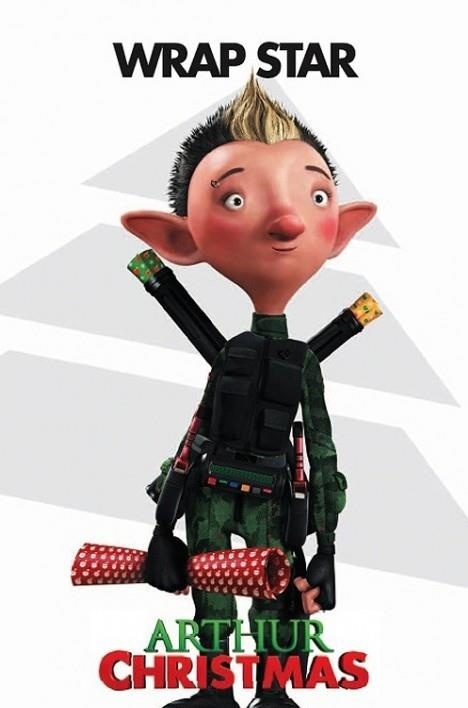 Even if you doubt Christmas elves are as proficient with the long and short sword and bow as their sylvan cousins, you shouldn't underestimate their unique talents. Make no mistake: while forged in Santa's workshops, their skills have militaristic applications. 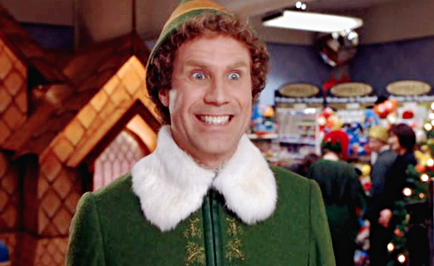 With that in mind, Mainlining Christmas would like to offer a list of 10 elves who are potentially lethal. Weapon of Choice: Sleep grenades, cane hook, tree trimmer, and a host of other high-tech gadgets. Danger Level: Low. Wayne's equipment is intended for non-lethal combat, and his centuries of training and experience make it incredibly unlikely he'd lose control and do anything drastic. However, it's worth remembering three facts: he's prone to depression, he's slipped up before, and he's proven again and again that his gear is extremely versatile. Would he ever take a life? Probably not. But COULD he? In seconds. Weapon of Choice: Snowballs. Years of training at the North Pole have given him near superhuman skill with frozen projectiles, as well as perfect aim. In a matter of seconds, he's able to assemble a massive pile, then use those to take down a gang of teenagers. It's unclear if any of his target's wounds were serious, but at minimum, he knocks several unconscious. Danger Level: Moderate. Buddy would never intentionally hurt a fly, but he doesn't understand his own strength. There's a serious risk for a potentially fatal accident. Weapon of Choice: Snowball guns, snow goon platoons, and candy-cane cruise missiles. Danger Level: Extreme. The elf commandos in Twas the Night Before Bumpy take their jobs seriously. They're present for security, and they're eager to make an example out of someone stupid enough to break into the North Pole. Most of the elves on this list have potentially lethal skills, but there's little evidence they'd ever knowingly become violent. This is an exception. 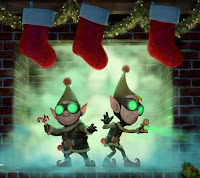 The Elf commandos from the Bump in the Night Christmas special have a shoot first, ask questions later philosophy. Danger Level: Extreme. 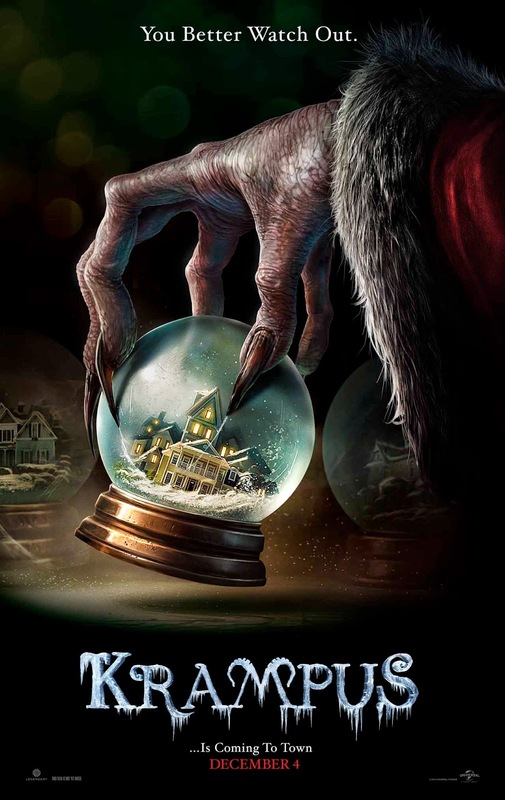 In the 2015 movie, Krampus, the demonic holiday lord has warped versions of everything Santa has at the North Pole: gingerbread men, stuffed bears, angels, and countless toys. And, of course, he has elves. These helpers don't make an appearance until late in the movie, when they corral the family and abduct several. While the movie implies the elves aren't killing their captives personally, it's very clear that the vast majority - perhaps all - are delivered to their master and never seen from again. On top of that, they're skilled fighters who express glee at their victims suffering and fear. Weapon of choice: Bare hands. Danger Level: Moderate. Santa's Little Secret Service elves are quick, methodical, and they take their jobs seriously. 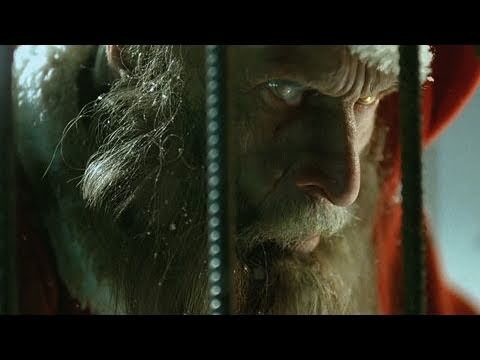 When Arthur makes the mistake of trying to show Santa he still has the toy gun he was given as a child, the elves jump him and snap the object in two. If Santa hadn't called them off, they could well have done the same to Arthur. It's not that they want to hurt you. But if you make a mistake, they'll do what they have to. So remember: no sudden movements. No flash photography. Danger Level: Medium. Most of the elves on this list were born into the role; for Marcus, it's merely a profession. 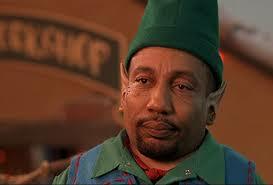 He spends his holidays working as a mall elf then robs his employers on Christmas Eve. But when things go south, he's all too eager to cover his tracks. He murders a security chief who's blackmailing him, then tries to kill his accomplice. He's smart enough to use his targets' assumptions about him to his advantage, and he shows no reluctance to taking a life. Weapon of Choice: Pickaxes. Or maybe just their hands and teeth. Danger Level: High. One of the elves of Rare Exports is originally mistaken for Santa, himself. However, the army of helpers have been frozen for centuries and are attempting to free their master. When separated from his influence, they're not exactly evil, but they're still wild animals. Under his command, they're far more deadly. Weapon of Choice: Bryony is a specialist. What she does is wrap things. With paper, tape, and ribbons. To carry her paper, she straps twin sheaths on her back, which resemble crossed katanas when not in use. When she's wrapping, however, they don't resemble anything. Because when she's wrapping something, she is moving too fast to see clearly. She can wrap anything. A bicycle in motion, an attacking lion... anything. Someday, she will wrap the moon. And God help anyone stupid enough to get in her way. Danger Level: Moderate. While Bryony has no obvious violent tendencies, she is prone to behaving recklessly, particularly when there are unwrapped gifts present. Danger Level: High. Christmas elves, we're told, are an immortal race, but something goes horribly wrong. Soon, they're all infected. They die, only to rise again. They maintain their faculties, even as their hearts are twisted to evil. Their sole purpose, it seems, is to murder the one they loved most in life: Santa Claus, himself. These are cruel, sadistic zombie elves, motivated by an evil intellect. They can plan, bide their time, and strike. Weapon of Choice: Axes, spears, thorns, fairy wands, and magic charms. Danger Level: Beyond mortal comprehension. This is a potentially controversial pick, but one I consider essential. 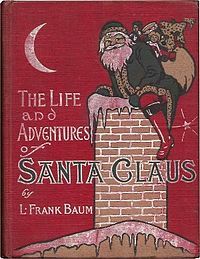 You could argue that the assorted woodland sprites of L. Frank Baum's Santa Claus novel aren't specifically identified as elves, but I'd dismiss that as semantics. These are almost certainly the origin of many contemporary concepts of Santa's elf helpers. And, while peaceful by nature, they proved capable of terrifying violence. How terrifying? While the Rankin/Bass adaptation pulled a few punches, the original was far darker. The elfin races faced off against an evil army containing giants, dragons, goblins, and demons. They slaughtered their enemies mercilessly, without suffering a single casualty. While there was nothing in the book itself to suggest they'd turn their rage against humanity, there'd be nothing to stop them if they did. Well, I have have two honorable and two dishonorable mentions. The first honorable goes to the Gremlins - particularly Stripe. 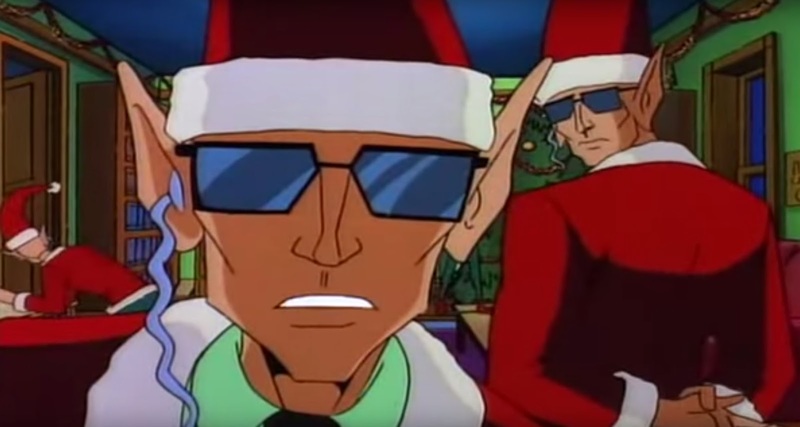 They're not, technically speaking, Christmas elves, though that seems to be the role they're cast in during the 80's movie, which merged the two concepts. The worst of the bunch is Stripe, a sadistic monster fixated on murder. He delights in pain and fear, and his quick speed and clever mind make him a dangerous opponent. Gremlins almost made the cut, despite it being a bit of a cheat. But, in the end, I decided it was just a little too much of a stretch. Next are the brainwashed elves from Inspector Gadget Saves Christmas. This was a close call, actually - I found the special kind of fun (though Lindsay disagrees), and the brainwashed elves did Dr. Claw's bidding. Ultimately, I cut this due to questions of lethality: the elves seemed content to hold Santa and Gadget prisoner instead of going for the kill. They were being used for evil, but there was no indication they were actually deadly. That wasn't an issue with our two dishonorable mentions, Saint and Elves. Neither of these technically featured elves in the traditional sense (Saint used a variation on Black Peter, while Elves had a single troll in it), though I did make accommodations for unconventional versions of elves in the list above. What really pushed these off the list was quality: every one of the ten pieces of media above is something I'd recommend people watch, but I can't say the same for either of these. Still, it's worth acknowledging they exist, since both the troll and Saint Nicholas's helpers racked up a body count in those movies.